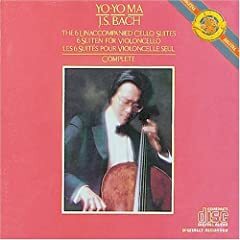 There has been quite a discussion on the Listening thread on several recordings of Bach's cello suites. As self appointed custodian of this thread that deals with this topic I'll repost some of the comments for easy reference in the future! Instead of it all being burried for eternity in the listening thread. 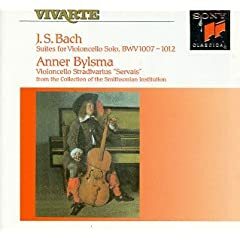 Bach Cello Suites w/ Anner Bylsma using the Servais Stradivarius Cello from the Smithsonian collection of instruments; I've probably had a half dozen or so recordings of these suites over the years - now own this one & the Rostropovich set - Bylsma is my favorite at the moment (recorded in 1992 - excellent sound). Have you heard his student, Wispelwey? He has a gorgeous, introspective take on these works. 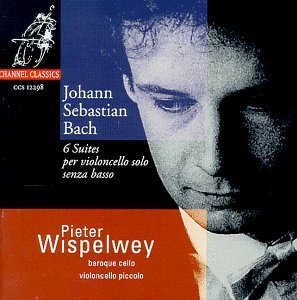 George - for those following this 'sub-thread' on the Bach Cello Suites, the Wispelwey recordings do look quite appealing (plus only $14 from Caiman!) - 5* reviews from the Amazonians except for one poor rating (and similarly poor comments). Hmmm - for that price, I might put that set on my 'wish list'! Either one of them (Bijlsma or Wispelwey) would be a really excellent choice for a HIP recording, Bill. I'm a Bijlsma man myself (2nd rec. on Sony, that Dave mentioned). I agree that they are both nice, though I give the edge to Wispelwey. When I was buying my first cello suite set I listened to Ma and the Bijlsma Servais, and preferred the Bijlsma. Today I also have the earlier Bijlsma and Starker (on Mercury Living Presence). I think I like the earlier Bijlsma the most, but maybe one of the other two next week. Very good interpretatons all three. None are for sale. Just compared the Casals Pearl, the Bijlsma and the Wispelwey. Bijlsma seemed to suit me best out of the three, though the Wispelwey has a very unique approach (?) that might be nice to have also and would be more "contrasting" when next to my Ma set. What "historical" transfer do you enjoy Que? Pablo Casals - on Pearl, which is a particularly good transfer and has some "bonus" tracks in the form of transcriptons. It's OOP, I believe George was very satisfied with the transfer on Opus Kura. Indeed he was. He also has the Pearl (from my local library). I just compared them side by side. The Pearl has a bit more noise, the cello sounds more realistic and the bass is more present. The Opus Kura is just as clear with less noise and sounds slightly less realistic, with some lacking bass. Nonetheless, the Opus Kura sounds fine, I don't think you'll be disappointed, Bill. It sure beats that horrific EMI version. BTW, I got mine through ArchivMusic. Another favourite of mine and IMO every bit as good as Bijlsma or Wispelwey, though different. Only recently I bought Beschi, which I would not recommend to those starting out with these pieces: adventurous but also very intense and focused. Quite different from Bijlsma and very "fresh" sounding to my ears - therefore an addition I value very much. Whoa! This guy breaks the speed limit! No superficiality, but it's fleet in the quick movements, which makes the suites as whole "dance". Like I said, this really is for "progresed listening" - close familiarity with these pieces helps to take the "leap" to this take. Fantantastic Que! Beschi might sound fast, but he's not actually as fast as he sounds, he's actually just about right for tempo. The slower stuff sounds austere when it should, he elevates the rhythmic drive in the faster movements but never loses the smoky, dreamy quality of the cello suites. This has to go on my to buy list! David, fully agree with those keen observations. He highlights rhythmics contrast - between movements, but also within movements. And like you say: not by playing just faster, but also through phrasing. Uh oh. I need that one. Valentino, yes of course - I forgot that! Hope you enjoy it. But given your taste for gutsy Italian baroque musicians, I think it will suit you. I must say you look young and handsome these days. Q! Yeah I'm going to put that Beschi set on my short list, I guess the October orders along with the Haydn Masses and the Clementi Symphonies. This is a great one, Q. And speeds - they do the trick for me. In fact, other 'notables' from the past have tended to sound too slow to me. 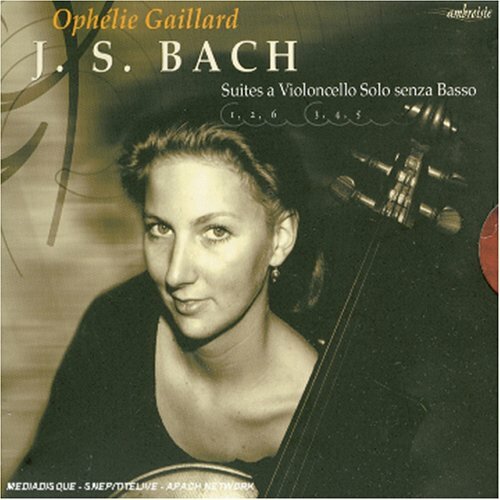 Another favorite (perhaps tops) is Ophélie Gaillard on Ambroisie. Hers is a lyrical approach which plays up the flowing, rhythmic pulse of the music while giving ample room for the playful angularity of the writing to sound out. Ah yes, she is a new rising star - didn't know she already did the Bach cello suites! Thanks, donwyn, I'll check her out when the opportunity arises. Though I'm very satisfied with Bijlsma & Beschi. EDIT: Just checked available online clips. My first impression is that this lovely lady is not for me. Yes, I recognised why you said lyrical & flowing - but is much too fluid and smooth for me, with a "soft voice". I like more articulation (expression), and her take on rhythms doesn't feel "right" to me. It feels "off balance"/ not coherent enough for me - I personally like a player with a very firm grip on musical structure. To sum up: I'm missing some profundity. Another that caught my eye is this one! Have you (or anybody else) heard it? I had exactly the same impression. And I'm very tempted as well. This is a remarkable and very individual interpretation. It is indeed dancing, with generally fast tempi and rhytmic energy even in the Sarabande´s, and Cocset plays with astonishing elegance and virtuosity. Miking is close, you can hear the noise from the left hand clearly, but this is not annoying at all, on the contrary it adds to the feeling of presence. The sound is dark and soft - almost seducing, and sometimes the instrument sounds more like a bass viola da gamba than like a a violoncello. Recommended without reservation. Thanks for the comment, Premont. The things you say match the impressions that I got from just on line samples. The sound of the instrument was striking to me as well. I guess I'm going for it - oh boy, oh boy! It seems I definitely moving towards a sizeable number of cello suites recordings..... Considering the fact I've also still Paolo Pandolfo (Glossa) on my list, who actually plays these on a viola da gamba instead of a baroque cello! (Must hear that and a superb musician). 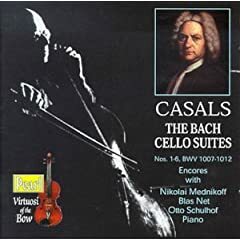 I already have Casals, Bijlsma (2nd rec) & Beschi and I'm glad I hold back with buying in the past, because all additions are all new HIP performances! Interesting you say that about Gaillard's too fluid/loose delivery, Q. That's exactly the impression I had when I first sat down with this set. However, subsequent listenings confirm a strong hand at work, here. Nothing wayward or loose about her approach at all. Yes, she 'dances' more than others but it's a dance with a purpose. And along with that 'dancability' she keeps a tight reign on the bigger picture. Hers is an overarching concept with a clear idea of what's just around the next corner. But it takes hearing her out over entire passages to fully understand what she's up to. Give her a chance over the long haul and you'll see just how much 'grip' she really has! EDIT: Just checked available online clips. My first impression is that this lovely lady is not for me. Yes, I recognised why you said lyrical & flowing - but is much too fluid and smooth for me, with a "soft voice". For a more solid, steady lady, check out Phoebe Carrai on Avie. I have half of the Gaillard set (it was dirt cheap) but don't feel the need to hear the rest. I also have half othe Beschi set (got it on special as well) and definitely want to finish the set. ... I'm asking myself a simple question: Who is YOUR top choice for these remarkable cello works? Be good to have a discussion about this inspired body of work - not least, as I can see myself acquiring as many as half a dozen more interpretations in years to come. Much less extroverted than Starker/Fournier, which is how I like these works. Ma is usually a third or fourth choice when it comes to choosing recordings featuring the cello, but for these he ranks first in my books.